Strategic North was commissioned to partner with AZ to revitalise an established breast cancer brand, Faslodex, to drive growth through to 2021. The project saw development of a compelling positioning, focused brand strategy and messaging framework to enable disciplined implementation. 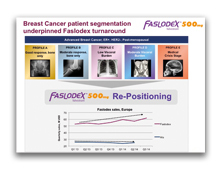 Critical research was completed ensuring the change in direction for Faslodex was underpinned by deep customer insight. Understanding subconscious and conscious decision ‘cues’ driving prescribing was a vital first step. 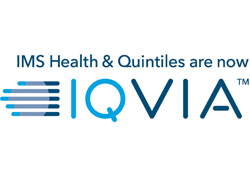 An actionable patient segmentation was defined, which was enriched and pressure-tested with customers. In parallel, a thorough competitor assessment was undertaken to understand the landscape and identify the potential opportunity spaces Faslodex could own. Target patient populations were prioritised based on where Faslodex could win by offering value that competitors could not match. These inputs acted as the catalyst for positioning development, which was undertaken with oncologists. The brand repositioning was implemented successfully and has led to a volume growth turnaround from -2% (2013) to +10% (2014 & 2015 H1). This entry showed a clearly laid out innovative process. They increased awareness of Faslodex’s significant benefits and turned perceptions around.